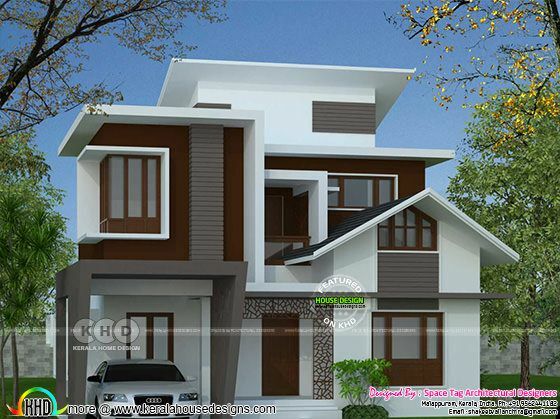 1950 square feet (181 square meter)(217 square yards) New style modern mix roof home plan. Home design provided by Space Tag Architectural Designers from Malappuram, Kerala. 0 comments on "New modern mix roof home 1950 sq-ft"